Rear end accidents comprise approximately 45% of all motor vehicle accidents annually, making this the 3rd leading cause of all vehicle collisions. There is an average of 5.5 to 6.0 million motor vehicle accidents a year. Of those, rear-end collision accidents approximate 2.5 million per year. The average total fatalities per year from rear-end collisions is estimated range from 17,00 – 20,000. Average cost in accident claims for rear-end collisions exceeded 50 billion dollars in 2010. If you have suffered from being in a rear-end car accident in the Boston area, you probably know that these accidents are, unfortunately, an everyday occurrence throughout Massachusetts. One reason is the high volume of traffic on our congested roads. (In fact, every time I travel on Route 128, and witness the heavy, heavy traffic volume, I always tell my wife that "There are just too many cars on the road; these roads weren't originally built for this amount of cars .") Massachusetts is filled with old roads that were simply not built to withstand this high traffic volume: This is why you Breakdown Lanes now being opened for traffic - when they were never originally intended to be. We believe that the decision to open up Breakdown Lanes for regular traffic is a disaster waiting to happen. Here's something else you may not have thought of: red-light cameras and other traffic control devices only increase your risk of being in in a rear-end car crash or rear-end collision. The Boston car accident lawyers at the Law Offices of William D. Kickham are experienced, dedicated professionals who make sure that rear-end car accident victims recover damages and losses from their injuries. We are very experienced personal injury and Massachusetts wrongful death lawyers, specializing in this area of litigation. 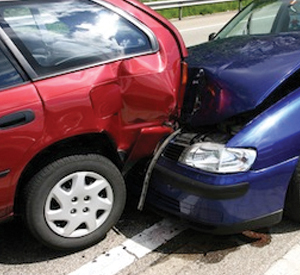 You may not realize it, but rear-end collisions are frequently seen by insurance companies as mere "whiplash" claims. However, the fact is that whiplash can lead to very serious, debilitating injuries that can make it impossible for the injured party to function, or to go to work - sometimes permanently. While many people don't know this, the word "whiplash" is not even a medical term. It describes what are more accurately known as "cervical acceleration-deceleration" injuries, which is medical term that describes a sudden, rapid back-and-forth movement of the neck. The risk of serious or fatal injuries in rear-end collisions can also be impacted by the size of the vehicles involved in the crash. If your car is struck from behind by a larger vehicle, it can plunge your car into the vehicle in front of you, with horrible consequences for both drivers. In addition, if your car hits the rear of a larger vehicle - say, a huge truck -- your car can be forced under the truck. Sometimes, a defective vehicle claim can result from a rear-end collision. Beginning with the famous Ford Pinto claims of the 1970's, there have been many cases involving defectively-designed gas tanks or similar engineering defects that exacerbated a collision. Similar defective design cases can be sometimes brought in cases where a smaller car is thrown under a large commercial truck that doesn't have what are called "override guards" that are designed to reduce the chance of serious or fatal injuries. If you or someone you know has been involved in a Massachusetts rear-end car crash, contact the Boston, Massachusetts car accident attorneys at the Law Offices of William D. Kickham today for a FREE AND CONFIDENTIAL CONSULTATION. Call us at Ph. : (781) 320-0062, or at Ph. : (617) 285-3600; or click here to email us. We will respond to you rapidly. A Statute of Limitations in Massachusetts applies to these cases, so it is important that you contact us promptly to preserve your legal rights. Remember, we will travel to you - even at the hospital - and there are NO FEES UNLESS WE WIN YOUR CASE FOR YOU. Click on the display at the left or better yet, click here to download our FREE ARTICLE on "The Top 10 Things To Do If You Are In An Accident In Massachusetts." This informative article will help you to take the right action steps in the aftermath of a rear-end car collision. Boston, Massachusetts car accident lawyer William D. Kickham has appeared as a legal analyst on a variety of respected media, including Court TV (now In Session on HLN ,) Fox News TV-25/Boston, The Boston Herald, WBZ-AM Radio 1030, WCVB-TV5/Boston, Nightside With Dan Rea, Greater Boston With Emily Rooney, Money Matters Radio/Boston, and The Metro Newspaper/ Boston. Attorney William D. Kickham is sought after by reporters in Massachusetts because he is an expert in the field of Massachusetts personal injury law, and the case results that he has produced for his clients show this. Call us today at office number (781) 320-0062, or Ph. : (617) 285-3600, to arrange for a FREE INITIAL CONSULTATION of your case. You can also email us here.